You'll want to go for a second slice! From the same baker of the Ube Leche Flan cake, Bellefleur by Beatrix’s latest delicious invention plays on another Filipino favorite: sweet, yellow mangoes! Their latest Mango Tres Leches is their first food-venture that goes beyond their successful ube dessert. Besides ube, mangoes are another Filipino favorite that Bea Atienza (the owner of Bellefleur) missed when she was studying overseas. 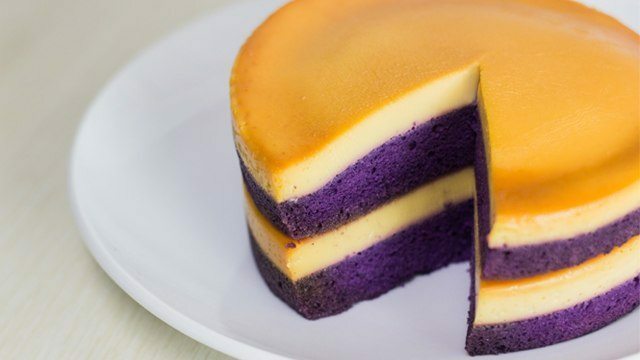 It sure is a mouthful of ube and leche flan. What’s Bellefleur’s Mango Tres Leches cake made of? The bottom of the cake is a dense leche flan that’s creamy and has just the right amount of sweetness. On top of the leche flan is a thick layer of vanilla chiffon with ice cream-like mango cream dotted with bits of yellow mangoes. 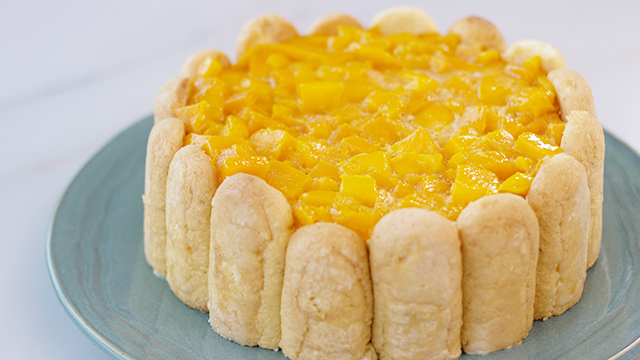 The top layer covered in diced slices of yellow mangoes is what gives this cake a sweet and tart flavor. The Mango Tres Leches cake has leche flan, vanilla chiffon, mango cream, slices of mangoes, hugged with milk-soaked ladyfingers! 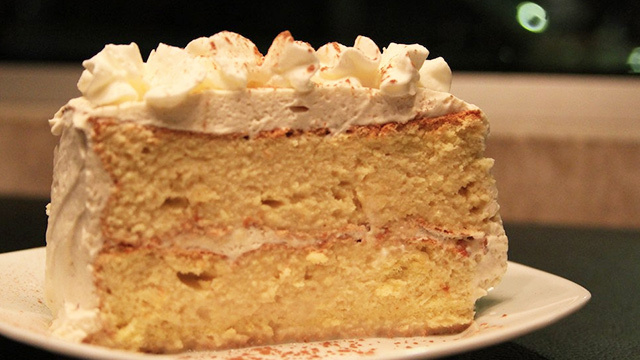 What makes it a tres leches cake is the delicate and light broas, or the ladyfingers, that have a spongy quality that makes it good for absorbing the tres leches sauce, all while maintaining its shape. 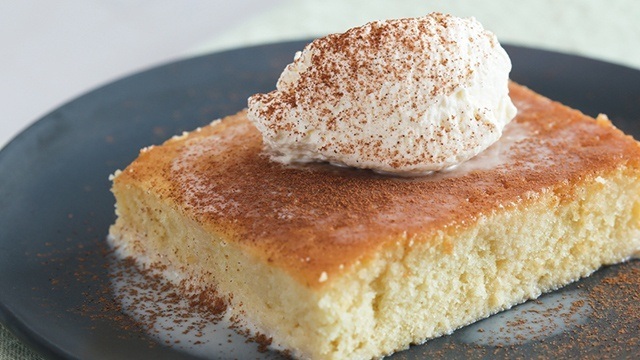 The tres leches sauce is usually a milky concoction made with three types of milk (hence, its name): evaporated milk, condensed milk, and heavy cream. 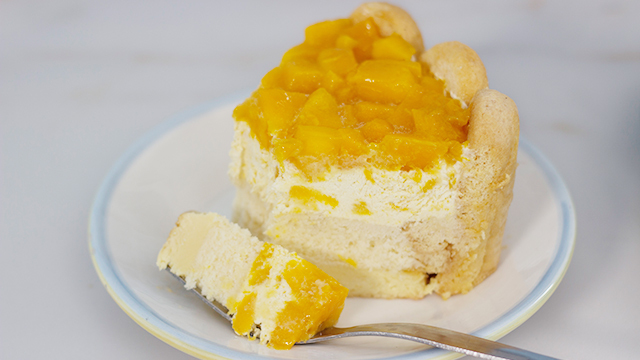 But with Bellefleur’s Mango Tres Leches, you technically get four kinds of milk because of the additional fresh milk! Bellefleur always makes sure that they have the sweetest and freshest mangoes for their Mango Tres Leches! The cake will most likely be handed to you frozen, which helps the cake’s mango cream and broas to stay intact. You can enjoy it frozen, which will remind you of eating ice cream! But we highly recommend letting it thaw out for a bit before consuming, so they all effortlessly melt in your mouth! 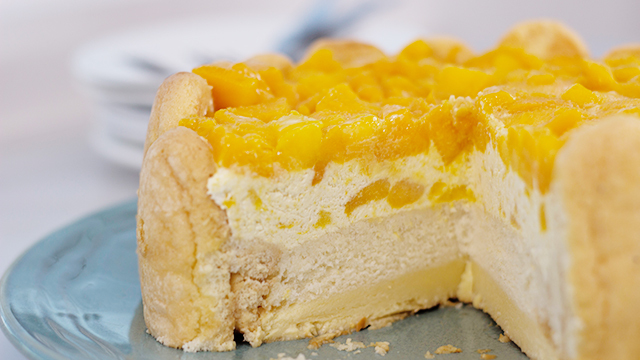 Bellefleur’s Mango Tres Leches (P1,350) is available in-store and for delivery. 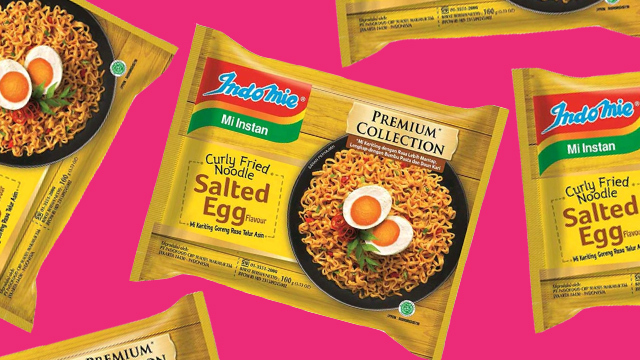 They are located at Unit FL-01, Ground Floor, Unimart, Greenhills Shopping Center, San Juan. For more information, follow Bellefleur on Facebook and Instagram. This cake is milky, moist, and luscious! 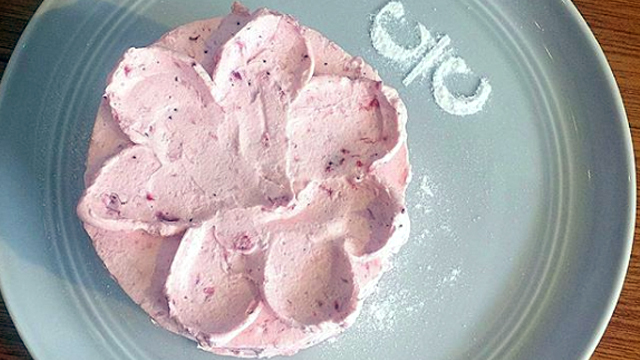 Learn how to make your cakes super moist with this easy trick. 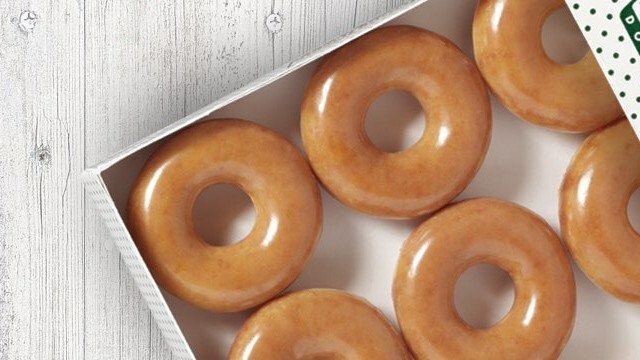 You Can Now Have Krispy Kreme Doughnuts Delivered To You!